Fact: American workers are the most productive in the world. The average worker is responsible for more than $65,000 of wealth per year and yet more than a third of households make less than $30,000 a year. The vast majority of those who provide us with “our daily bread” (food–farm workers, food processors, restaurant workers and grocery workers) make poverty wages. Those who take care of our children, parents, and grandparents (nursing homes, hospitals, nannies, childcare and Head Start workers) all too often making poverty wages. Over 40 percent of female-headed households live in poverty. Every dollar of additional income for a low wage worker creates $1.20 of economic activity. Imagine that: if those Americans most in need had more money to spend – on food, school supplies, bus fare, and all the other essentials – not only would they be better off, but it would create jobs and move the country towards prosperity. The saying goes: “a fair day’s work for a fair day’s pay.” American workers are doing their part. Now it is up to employers to do their part and pay their workers a fair wage that will allow them to support their families. 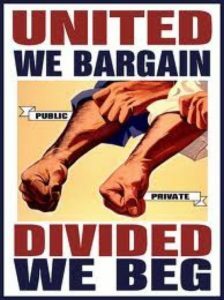 That is our mission at The AFL-CIO.